Today, Rebecca Taylor snapped an Instagram photo with the lovely actresses Sarah Michelle Gellar and Kaley Cuco. @normancook @kaleycuoco and @RealSMG were all in LA to help launch the Rebecca Taylor little white dress collection and support @loverecycled's program Baby Buggy. Founded in 2001, Baby Buggy's mission is to provide families with gently used cribs, strollers, clothes and other essential items. In both photos, Sarah Michelle Gellar is wearing a Rebecca Taylor short sleeve embellished runway dress. I've had my eye on this dress for a while. It's very much on my Wish List. 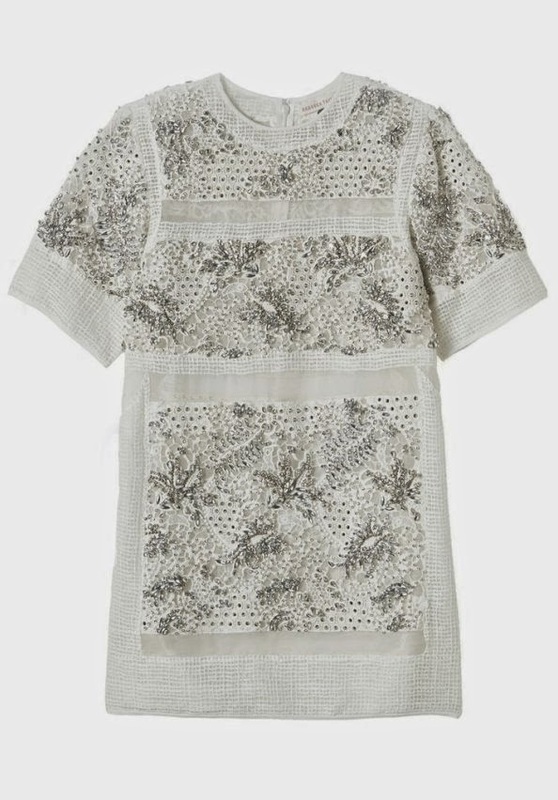 I love the intricate beading and soft lace detailing. The dress looks simply Gorgeous on Sarah Michelle Gellar! The shoes are also by Rebecca Taylor & are the Concetta Sandal.